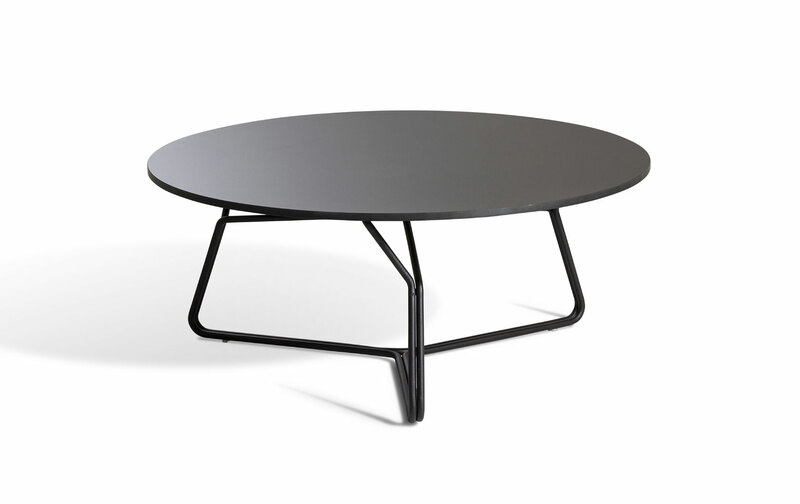 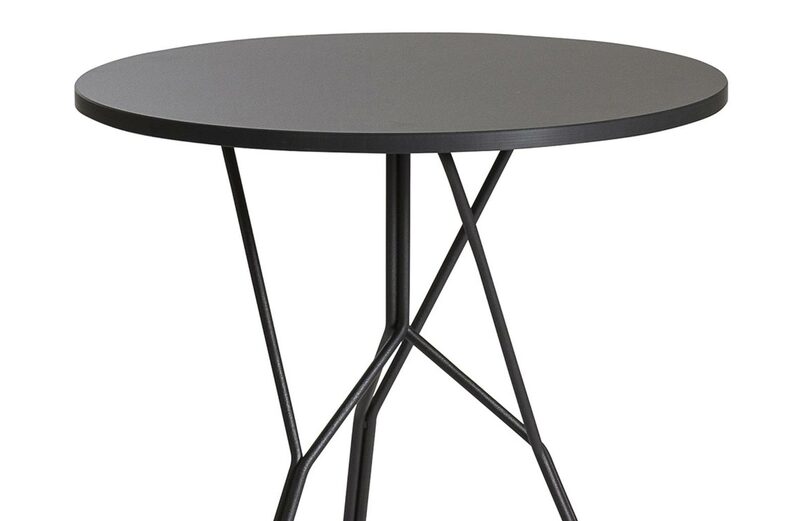 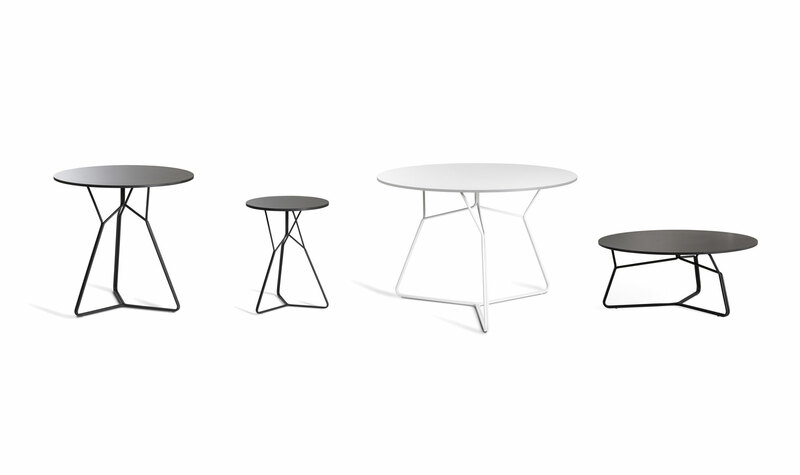 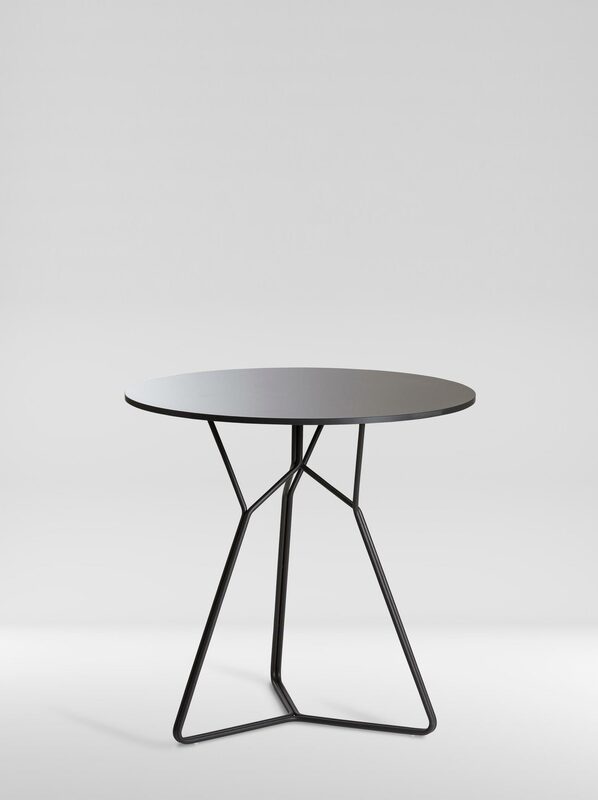 A range of tables for outdoor use in various heights, diameters and finishes. 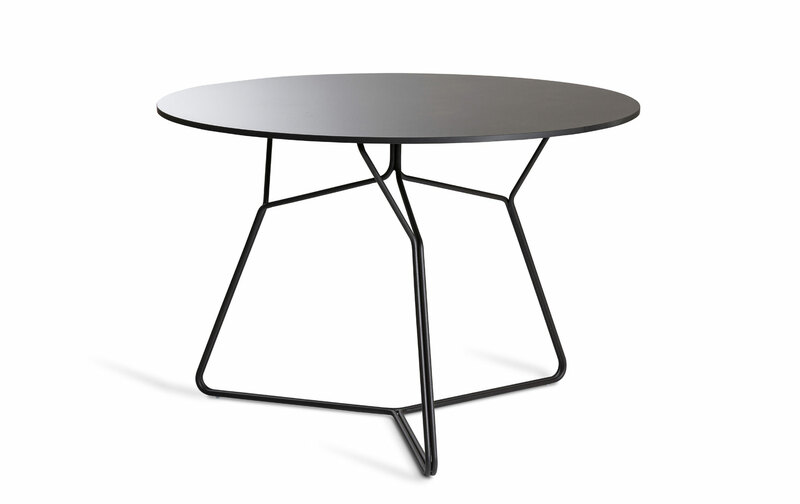 For the tubular steel frame, a deceptively simple pattern is repeated and joined to create a rigid 3 dimensional structure. 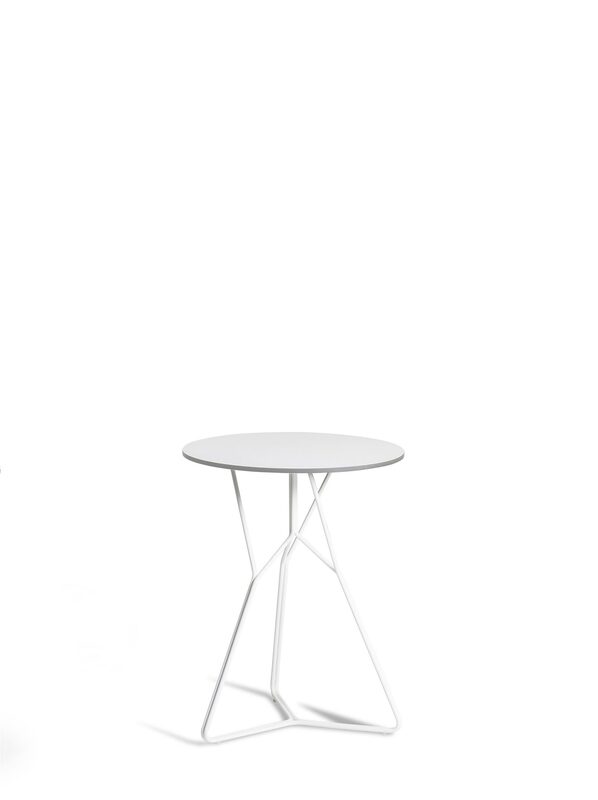 The proportion and geometry of this volume changes slightly to suit the different table sizes and heights. 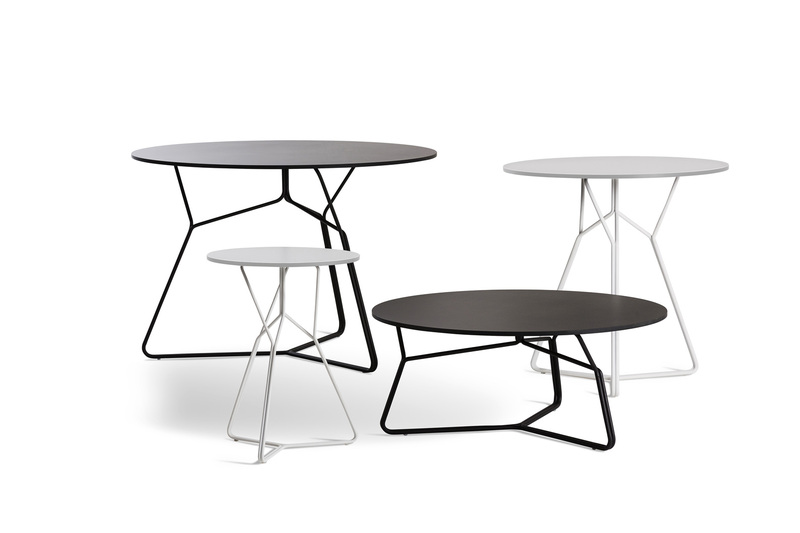 The result is an intriguing arrangement of lines in space which alters depending on the viewer’s perspective.